Is a Refrigerator Okay in the Garage? Spare refrigerators - basement or garage? Home refrigeratorIs a Refrigerator Okay in the Garage? For many homes, having an extra refrigerator is a necessity. It handles extra food, especially at the holidays, and if you have teenagers, or a large family, it is important for your weekly shopping. Many “extra” refrigerators are regulated to the basement or garage. This is okay most of the time, however, we need to consider a few issues when using these refrigerators. 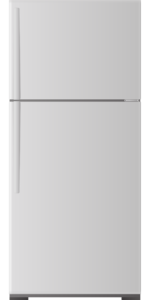 Typically, a second refrigerator is an older model. These models may not be as energy efficient as newer ones. You may be using more energy then you want to use. The next consideration is placement of the “spare” refrigerator. Basements are great if you do not mind running up and down stairs. The temperature is stable and typically you can keep your refrigerator running with no issues. Many, many people, myself included, have a refrigerator in the garage. This works well most of the time, although, I would suggest that if your refrigerator is in the garage, you place it on an interior wall if possible. This will help with varying temperatures throughout the year. One of the issues with a garage refrigerator is the cold winters that we have here in Michigan. Colder temperatures mean that the compressor on your refrigerator will not work as it should. You may find that your freezer will not keep things frozen in the extreme cold of winter. You may also discover that fresh items in the refrigerated section may freeze. So, what can you do? These kits trick the refrigerator into thinking that it is in a warmer place. It provides enough heat to make the freezer run properly and keep things frozen. The bad side to this is that you are using more energy. 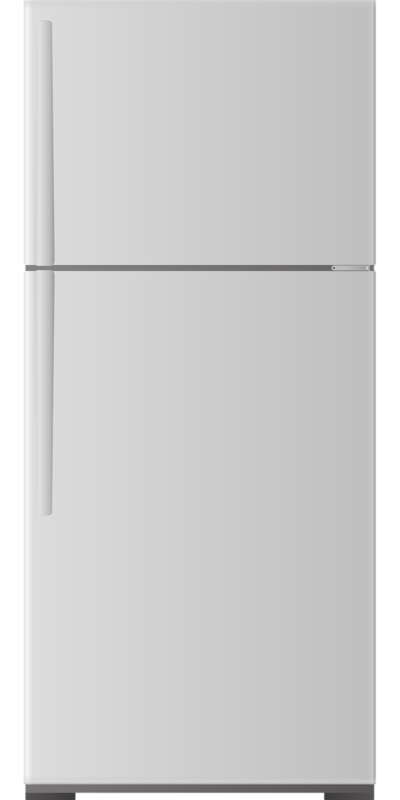 If your second refrigerator is an older model (as most are) you are already using a higher than recommended amount of energy. Seems simple enough. Look at what you are placing in the refrigerator and freezer section of your second refrigerator. If you only have soda or a few items in the refrigerated section and a few items in the freezer, it’s probably in your best interest to just empty and unplug it. I manage to keep mine unplugged and place water and soda in it over the winter to keep it from freezing in the garage. I find that unless I have holiday company over, I don’t really need to have it plugged in until spring. Remember though, if you have it unplugged and empty, you need to make it safe for any children that are around you. An empty, unplugged refrigerator can be dangerous to a young child. Your spare refrigerator can be of great benefit to you and your family. Just remember to weigh all of your options when considering where to place it and if it is energy efficient enough for you.